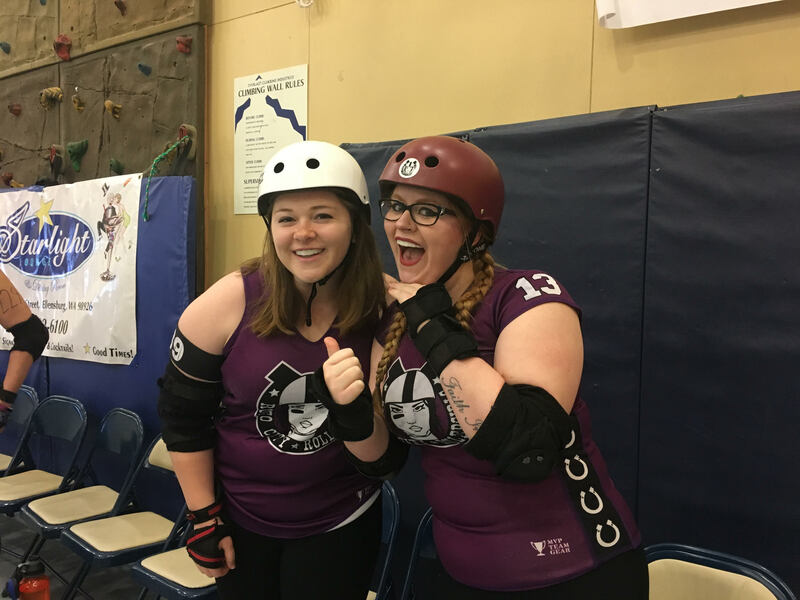 The Rodeo City Rollergirls took a 246-114 win over the Snake Pit Derby Dames on Saturday, April 7th at Ellensburg High School. Rodeo City’s MVP Jammer was YoYo Mauler and MVP Blocker was Hula C Nation. 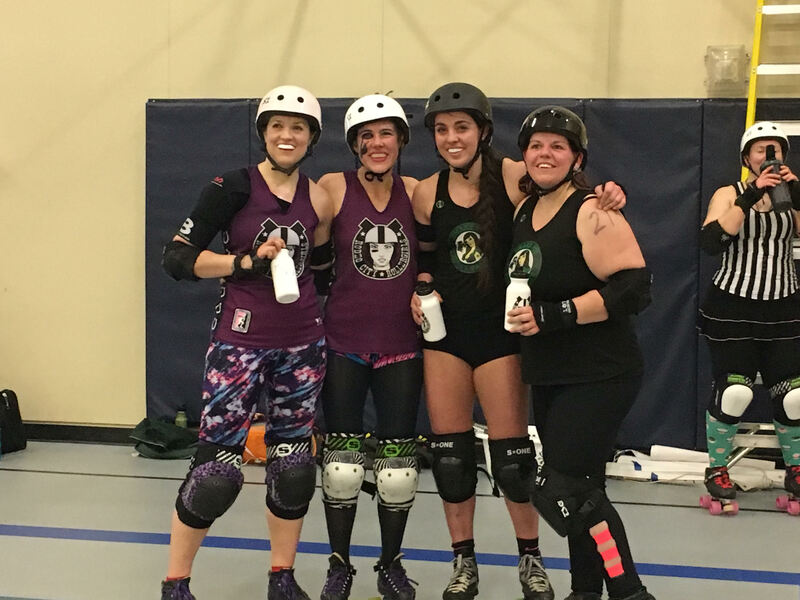 Snake Pit’s MVP Jammer was Seymour Guts and MVP Blocker was Davy Rock-Hit. Rodeo City would like to thank all of our fans, refs and nsos who came out to help us with this bout. 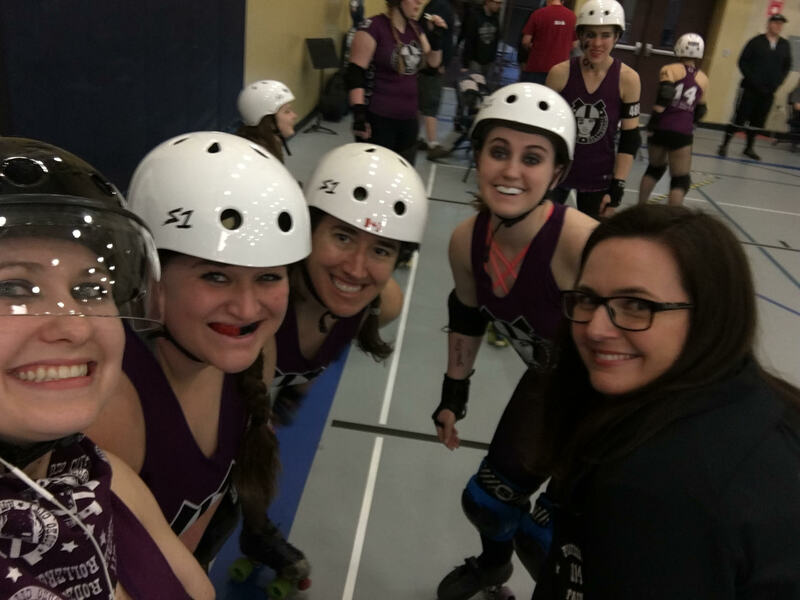 We also want to give a shout out to Snake Pit for making us fight for every point and for being an awesome team to skate against. Punch Line and Ginger Smack getting excited before the bout. Pre-bout pic before we all get sweaty.